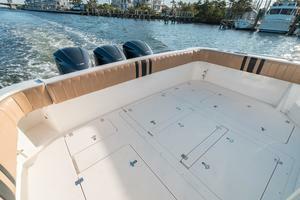 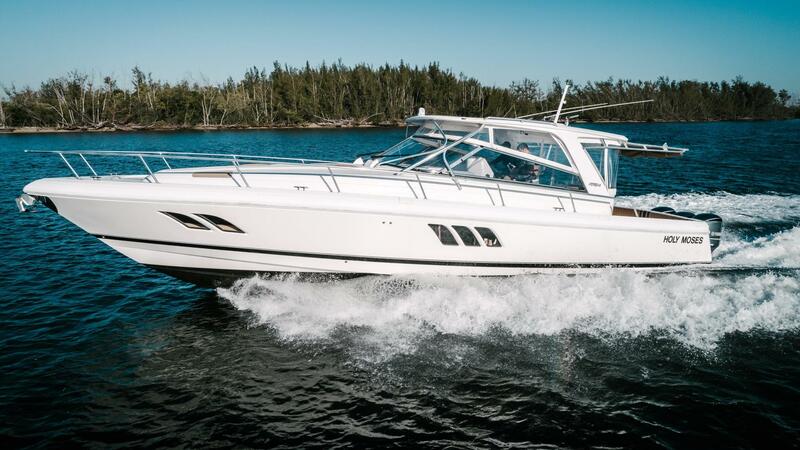 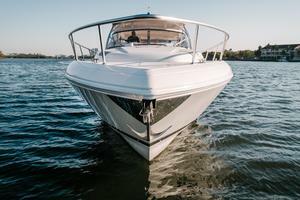 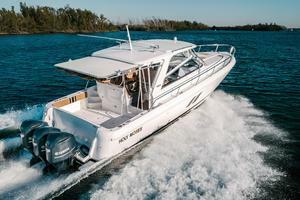 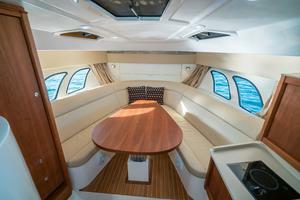 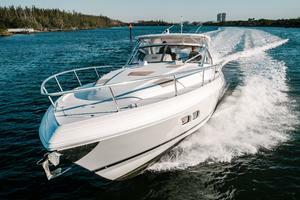 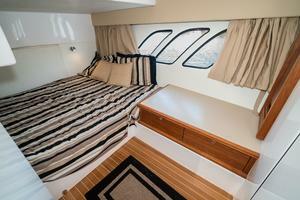 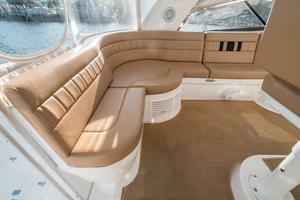 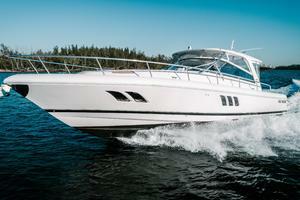 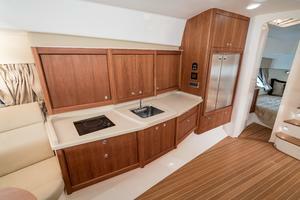 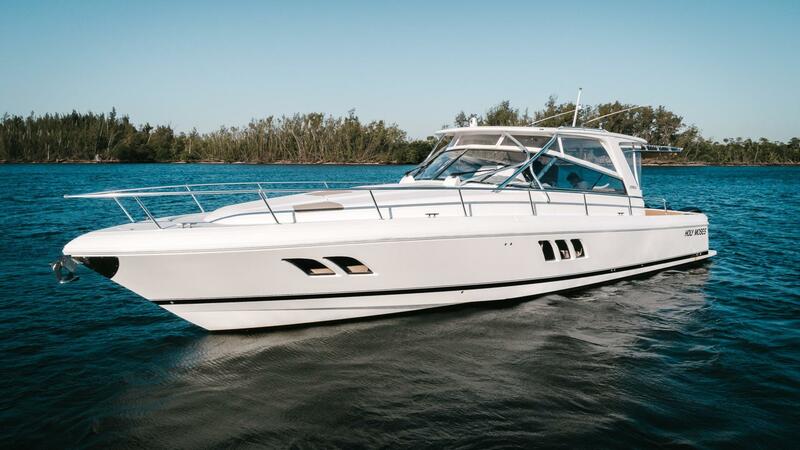 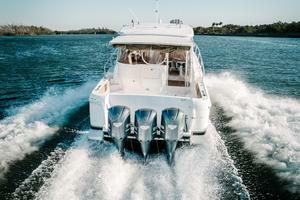 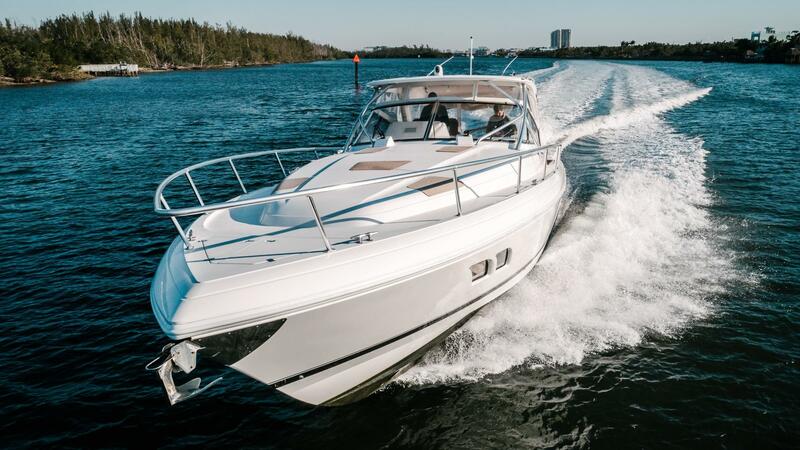 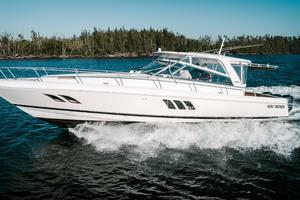 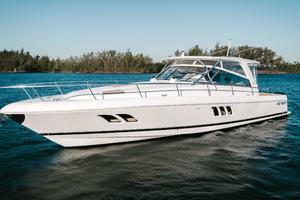 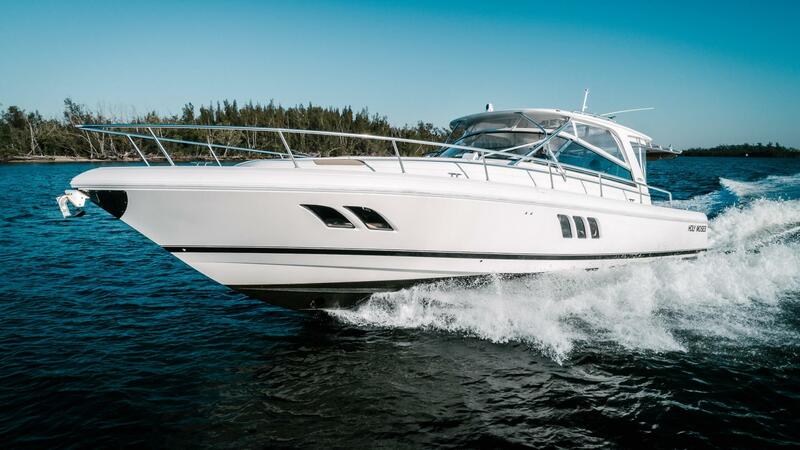 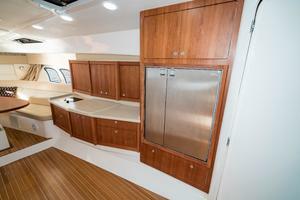 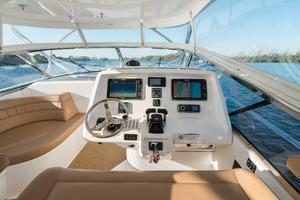 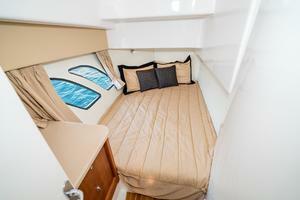 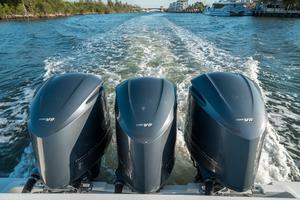 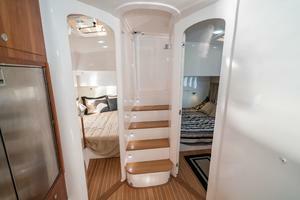 This 2014 Intrepid 475 Sport Yacht is powered by Triple 350 H.P. Yamaha's With Extended Warranty Through 8-13-2018 (approximately 600 Hours). 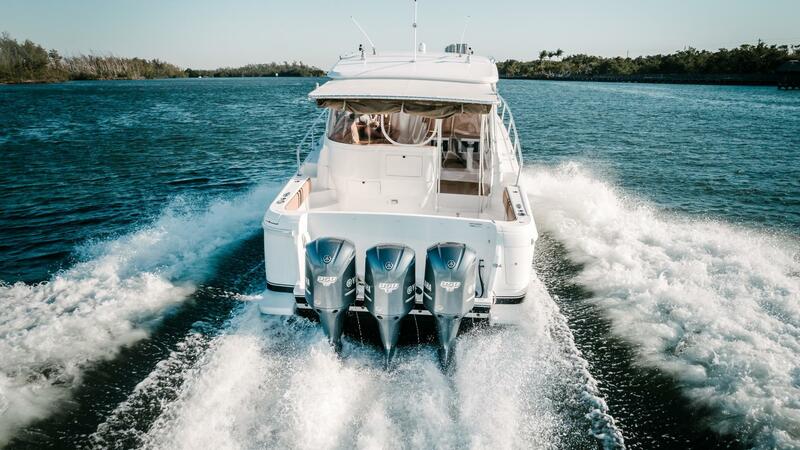 With triple 350’s, she will still top out close to 50mph and achieve a more economical slow cruise (.75mpg at 20kts) when compared to those with quads. 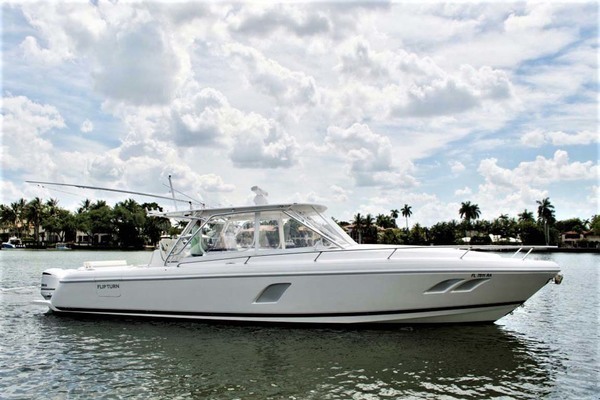 She's easy to see 10 minutes from the FTL Airport. 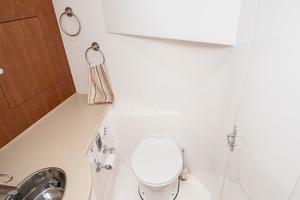 This is a great opportunity; all offers strongly encouraged! 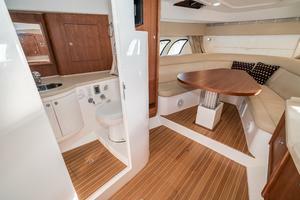 The 475 Sport Yacht is the epitome of refined luxury and magnificent comfort. 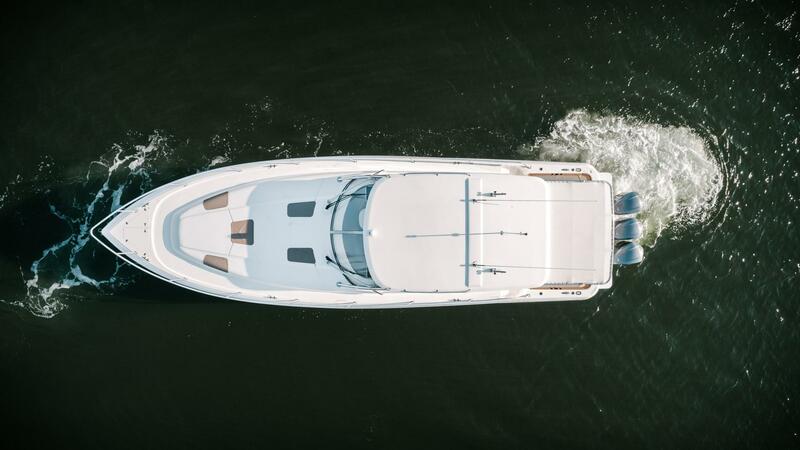 And yet, there’s an unassailable confidence that any captain at the helm will feel, knowing that this sport yacht is ready and able to deliver the most exhilarating, rewarding and carefree boating experience on the water. 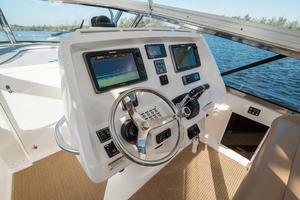 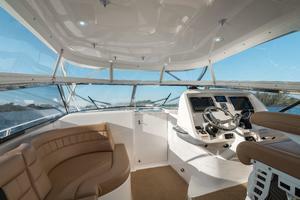 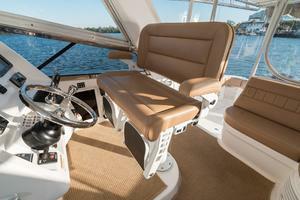 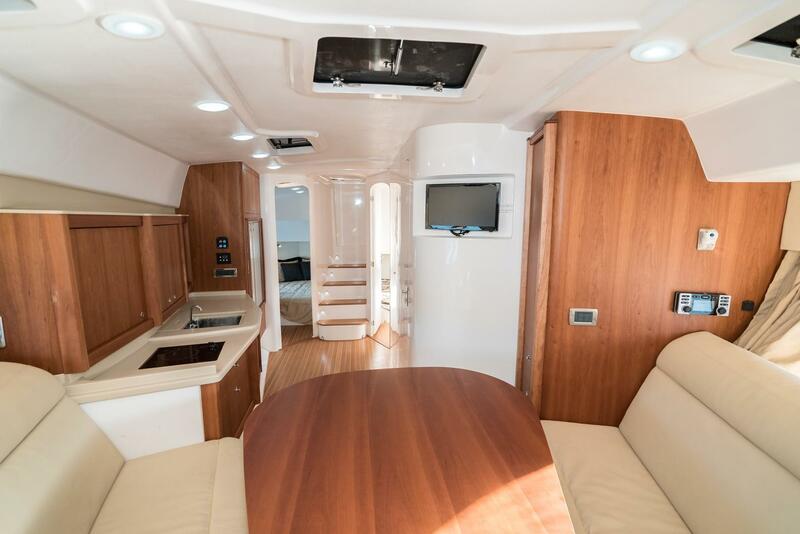 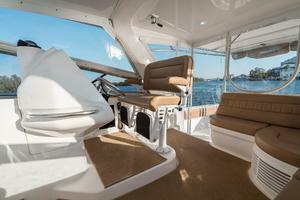 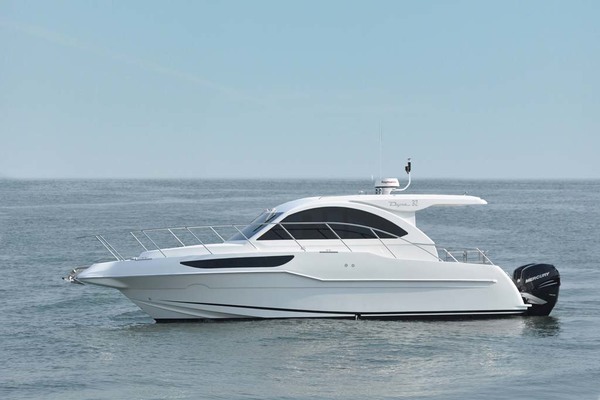 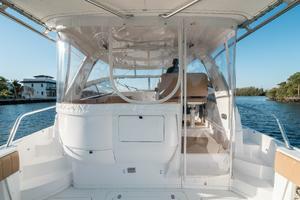 The helm boasts commanding views and a console with room for the latest flat-screen navigation equipment. Luxurious bridge deck lounge seating wraps around the helm, inviting easy conversation, with room for a full wet bar, standard separate drink cooler, and optional air-conditioning. Aft of the helm, 100-square-feet of wide-open space is ready to be rigged for your favorite activities – for diving, fishing, or simply for the enjoyment of a broad sundeck that is perfect for lounging. 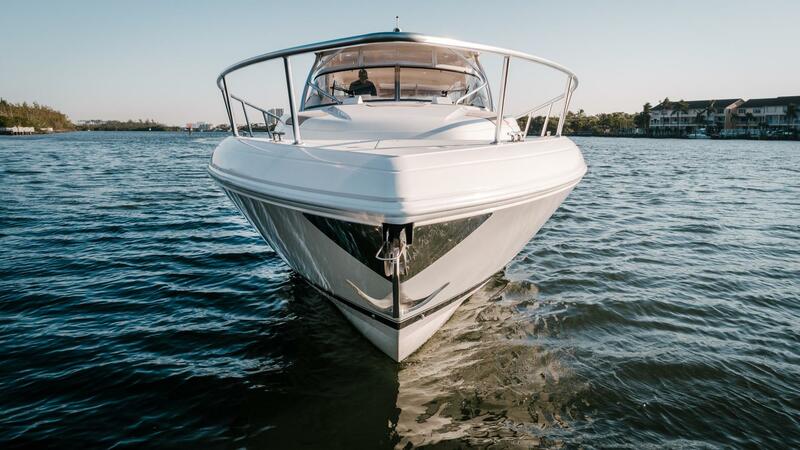 Intrepid’s characteristic manufacturing innovations make for exceptional quality, durability and ease of operation over the long haul. 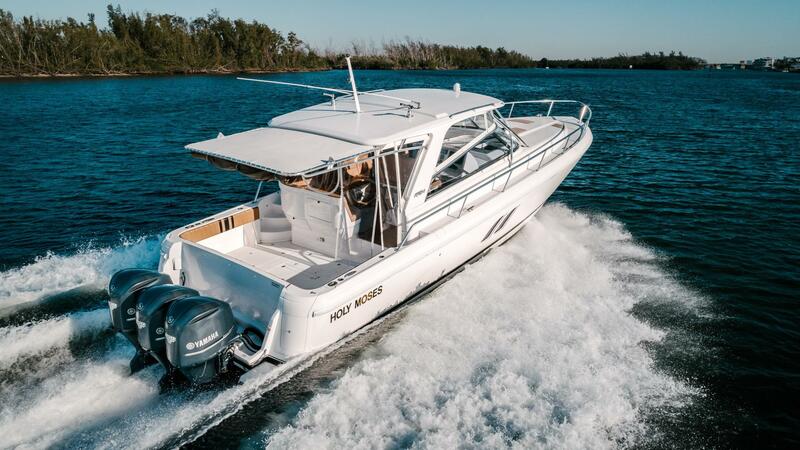 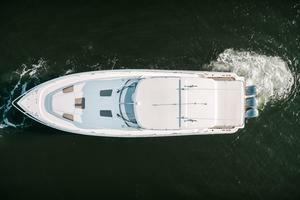 The distinctive styling and sleek lines are combined with a pioneering outboard configuration that provides nearly twice as much stowage, recreational and living space as found on an inboard of similar size. 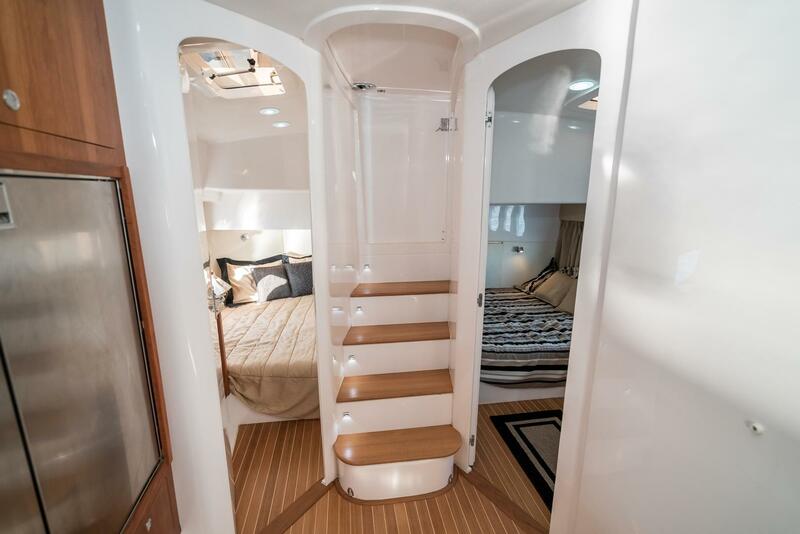 Below you’ll step into Intrepid’s largest and most luxurious master stateroom, the perfect blend of solid practicality and lavish amounts of space. 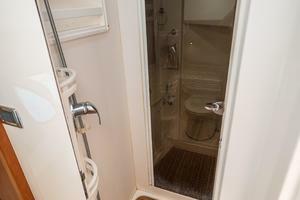 The salon offers generous room for guests to congregate, with comfortable “pass-by” space. 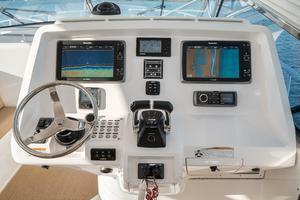 The media center accommodates the latest audio-visual systems. 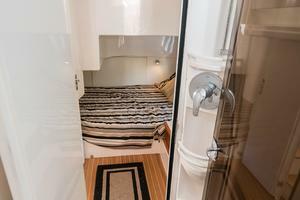 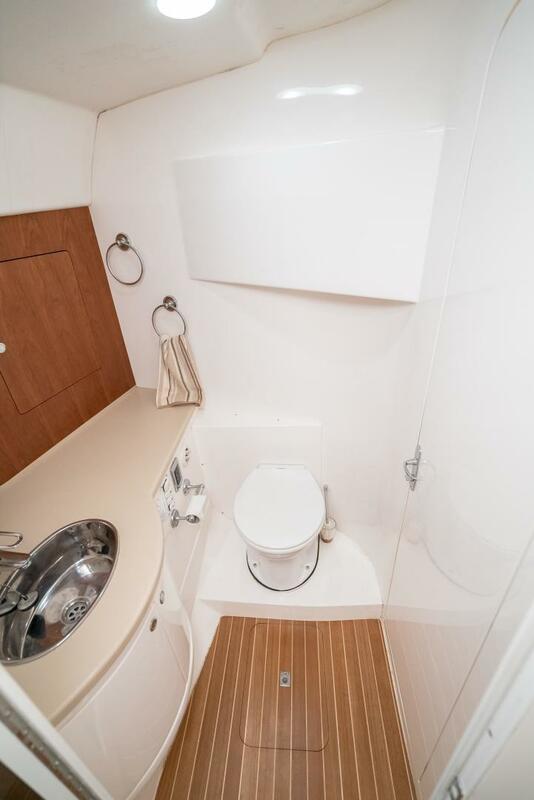 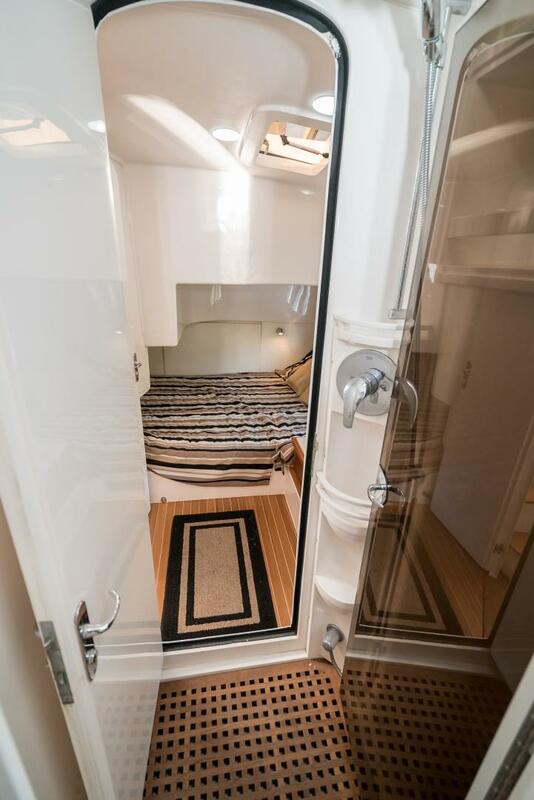 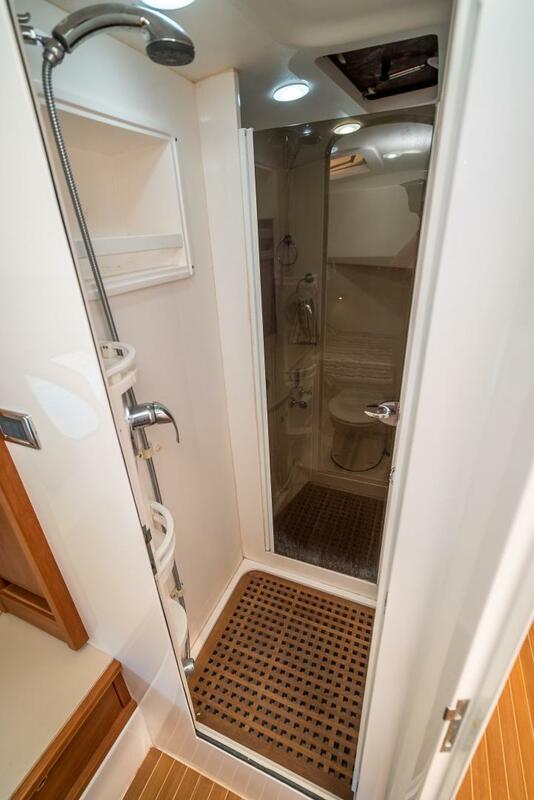 The head compartment boasts 6' 4" of headroom and includes a separate shower room with a stall shower or optional second head. This level of luxury is unmistakably Intrepid.